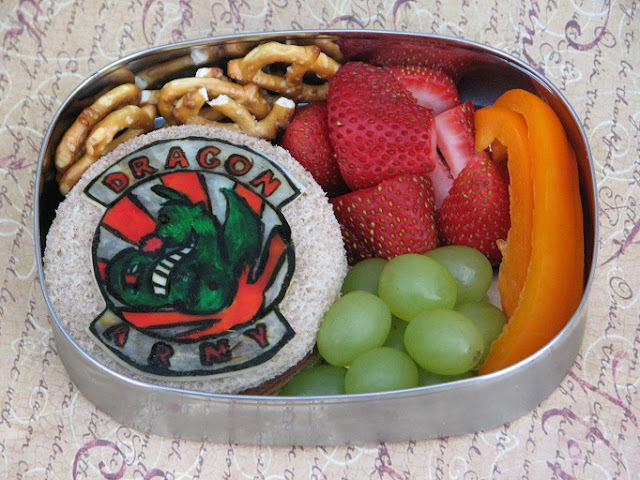 Kidlet has a Dragon Army emblem made from cheese and food colors on top of a soy ham sandwich. On the side are grapes, strawberries, orange bell pepper, and pretzels. That is some superb cheese art! Love the colors and the artwork too!